ExpressIFTA thanks you for your business. We wish you a very happy and safe 2014! We are closed today for Christmas, but will resume normal business hours tomorrow, Thursday, December 26th. ExpressTruckTax.com is a one-stop-shop for all your truck tax needs. Now that you have E-Filed Form 2290 for Heavy Vehicle Use Taxes, you can also use our sister site – ExpressIFTA.com to complete your IFTA returns. After logging into your ExpressTruckTax account, you will see an IFTA button at the top of the page. If you select this option, you will see a brief introduction for ExpressIFTA. To continue, click Go to IFTA. This will automatically register you with an ExpressIFTA Account. To Get Started, Click Begin. Your business information is automatically brought over from ExpressTruckTax, saving you from having to reenter the information again. From here, just follow the simple Step-by-Step instructions to complete your IFTA return in minutes! 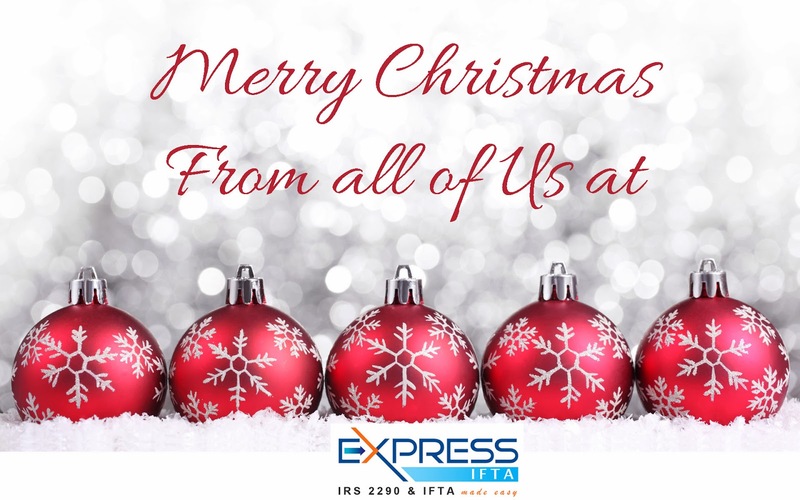 For more information about IFTA, please do not hesitate to contact our friendly Express Tax Support Center in Rock Hill, SC at 704.234.6005 between the hours of 8am – 6pm EST, Monday through Friday or email us at support@expressIFTA.com. 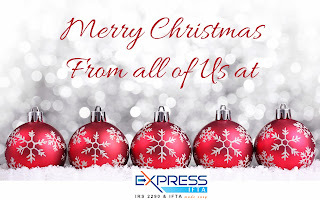 ExpressIFTA thanks you for your business. We wish you a very happy and safe holiday season! 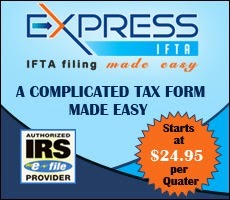 ExpressIFTA enables you to prepare your IFTA return quickly and easily. With ExpressIFTA, you can add mileage using odometer entries or trip sheets. The video above walks you through the process of using odometer entries step by step. ExpressIFTA enables you to prepare your IFTA return quickly and easily. With ExpressIFTA, you can add mileage using odometer entries or trip sheets. The video above walks you through the process of using trip sheets step by step. Reminder, the deadline for IFTA license renewal is December 31, 2013. Some states mail renewal papers out, but be aware that some states no longer mail out renewal papers. The renewal process varies from state to state with some states offering online renewal and others require electronic renewals, while others renew IFTA licenses automatically as long as the carrier is current with quarterly filings and any monies due. December is the final month in the 4th Quarter and the deadline to file 4th Quarter IFTA Returns will be January 31, 2014. To help you prepare your return here are the answers to some of the common questions about IFTA. Interest is assessed on all delinquent taxes due each jurisdiction. The interest rate is .4167% per month. Interest will be calculated from the date the tax was due for each month or fraction of a month until paid. Is there an extension until February 28 to renew my IFTA License? Many states offer a grace period of March 1 of each year to display the current year's decals on your vehicles. This does NOT apply to the actual renewing of your IFTA license. All licenses must be renewed by the December 31st deadline. To get started simply create an account at ExpressIFTA.com and begin entering your trip sheet information. If you have any questions, contact our friendly Express Tax Support Center in Rock Hill, SC at 704.234.6005 between the hours of 8am – 6pm EST, Monday through Friday or email us at support@ExpressIFTA.com.